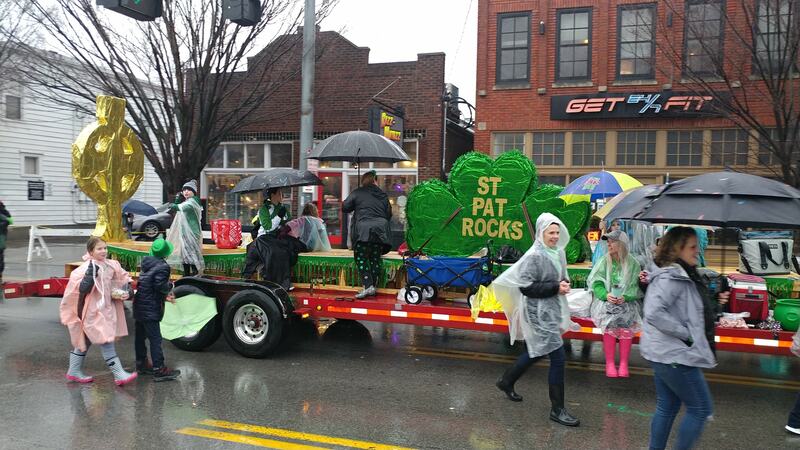 A little Irish luck brought a fun albeit rainy parade and a great time was had by all! View the 2019 Float Award Winners! The AOH has worked with state officials to declare March as Irish Heritage Month in the state of Kentucky! THANK YOU to the hard work of the local chapter of the AOH & LAOH, Louisville just finished the 2018 National AOH/LAOH Convention! Welcome to the website of The Father Abram J. Ryan Division of the Ancient Order of Hibernians, the oldest Irish Catholic organization in America. If you’re visiting our site you are probably aware that our division brings the city of Louisville Kentucky one of the finest St. Patrick’s Parades in the country. We’re also known around the community in Louisville as the presenters of “The Shillelagh” the award given to the winner of the St. Xavier and Trinity High Schools rivalry football game. A tradition that is over fifty years old. When most people in town think of us this is what we are most known for.